Sacramento, CA – Believing is just the beginning when dreamers throughout Sacramento witness the empowering tales of Disney’s most courageous leading ladies told through artistic skating and acrobatics in Disney On Ice presents Dream Big. Audiences are invited to join eight Disney Princesses – Ariel, Belle, Cinderella, Rapunzel, Tiana, Jasmine, Aurora and Snow White – as they embark on incredible adventures, determined to make their dreams come true. In addition, experience the sisterly love that has captivated millions as Disney’s Frozen is brought to life on the icy stage. 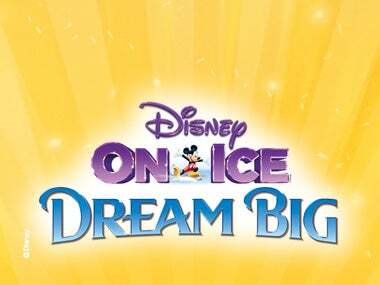 Disney On Ice presents Dream Big is playing the Golden 1 Center from November 2nd – 5th.